All across New York State, children from low-income communities are entering kindergarten without the basic early literacy skills for lifelong success. These children enter the school system behind their more affluent peers and are unable to catch up. Perhaps the most disturbing fact about this issue is that it is entirely preventable. Access to age appropriate books and early education programs is at the core of the issue. Preschoolers from low-income families have fewer home and preschool language and literacy opportunities than children from economically advantaged backgrounds – a major reason that they lag behind in reading achievement throughout the school years. Learn about the resources that are available to support early literacy activities and to provide additional information that will better serve the literacy/learning process for young children. Reading Rockets offers a wealth of reading strategies, lessons, and activities designed to help young children learn how to read and read better. Our reading resources assist parents, teachers, and other educators in helping struggling readers build fluency, vocabulary, and comprehension skills. Sister site to Reading Rockets, Colorín Colorado is a bilingual site for families and educators of English Language Learners. 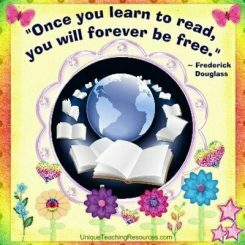 This site provides teachers who work with English as a Second Language learners ESL/ESOL/ELL/EFL reading/writing skill-building children’s books, stories, activities, ideas, strategies to help PreK-3, 4-8, and 9-12 students learn to read. 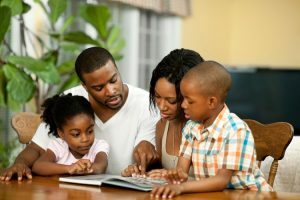 The National Center for Families Learning provides resources for parents and teachers, including podcasts, interactive games and free courses to foster powerful parent-child partnerships and improve literacy outcomes for children and adults. What Works is a set of materials that helps parents and early childhood educators provide the best language and literacy experiences possible to start young children on a pathway to reading success. The mission of Reading is Fundamental (RIF) is to motivate young children to read by working with them, their parents, and community members to make reading a fun and beneficial part of everyday life. RIF’s highest priority is reaching underserved children from birth to age 8.